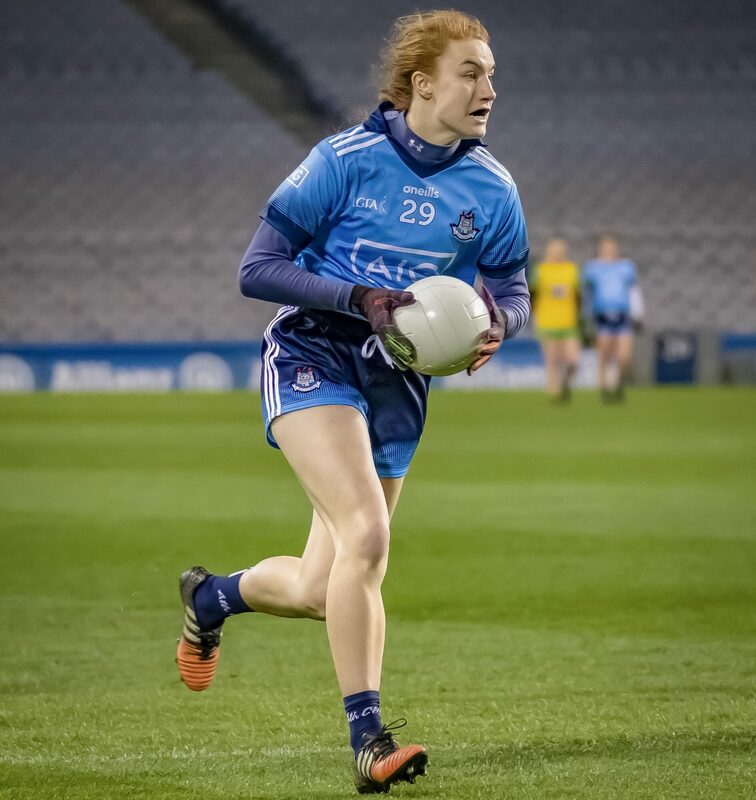 Mick Bohan has made two changes to his Dublin Senior Ladies team for their 2nd round Lidl National Football League clash with Tipperary this Sunday. Dublin will be eager to get their 2019 NFL campaign back on track this coming Sunday in Ardfinnan GAA club after suffering an open day defeat to Donegal in Croke Park last weekend. “We are disappointed with the display. We just didn’t have our usual cohesion. We don’t enjoy losing, but I’d be more disappointed by the way we played. “The way we went after the game rather than the result. If we had lost the game but we had gone after it with the right approach, I’d probably feel a bit better about it”. Experienced duo, Lauren Magee and Lyndsey Davey are named to start this Sunday having both played the second period of last Saturday’s game against Donegal following their introduction after the half time break. Four time All Star, Davey made her presence felt on the pitch almost immediately when she was on target within 2 minutes of the restart scoring her sides only goal of the game. Making way for the introduction of Magee and Davey are St Sylvester’s club mates, Kate Sullivan and Niamh McEvoy (injured). McEvoy was replaced in the 18th minute of last week’s encounter with Donegal having picked up what appeared to be an ankle injury and hasn’t recovered in time to make the squad for Sunday’s game. Having had an impressive senior debut versus the Ulster champions last weekend, Sullivan a member of the 2018 Dublin minor panel is named on the bench. 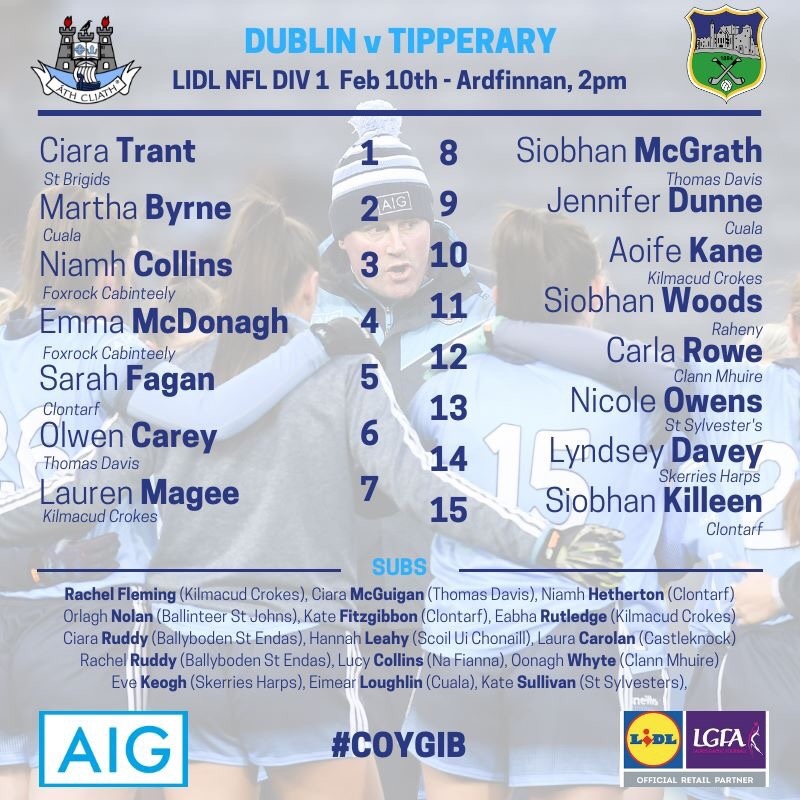 Other Dublin Senior Ladies team news sees Ciara Ruddy (Ballyboden St Endas) and Oonagh Whyte (Clann Mhuire) introduced into the Dublin match day squad 30 for this weekend’s trip to Tipp. The last time these two sides met in the National Football League was back on the 13th of February 2011. On that occasion Dublin enjoyed a comprehensive 3-21 to 0-07 victory over Tipperary. 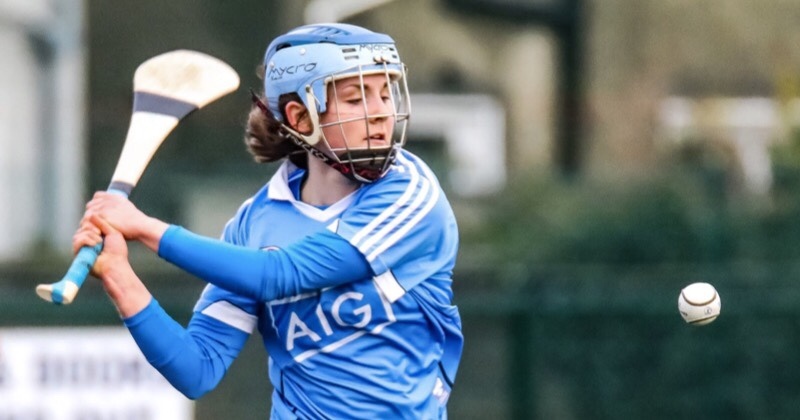 The same season, the Dublin Senior Ladies team went on to lift the division 2 league title with a win over Meath in the final gaining promotion to top flight football while Tipperary endured relegation into division 3. The premier County remained rooted in division 3 for five solid seasons (2012-2016) before going on to claim league success in 2017 (NFL div 3 winners) and again in 2018 (NFL div 2 winners) earning promotion to the top tier of the Lidl National Football League for 2019. Similar to Dublin, Tipperary also suffered a loss in their opening National Football League fixture last weekend enduring a 2-11 to 0-12 defeat to Mayo. Aisling Moloney was once again Tipp’s most lethal forward scoring 0-6 (4f) of her sides tally. Dublin’s back line will have to bring their A game to Ardfinnan on Sunday as Moloney can punish teams both from play and the dead ball. Match official, Garryowen McMahon a native of Monaghan but now living in Mayo will get the action underway at 2pm. For those making the journey to Ardfinnan please note the admission rates: Adults €10, Students / Senior citizens €5, Juvenile U16 free of charge.